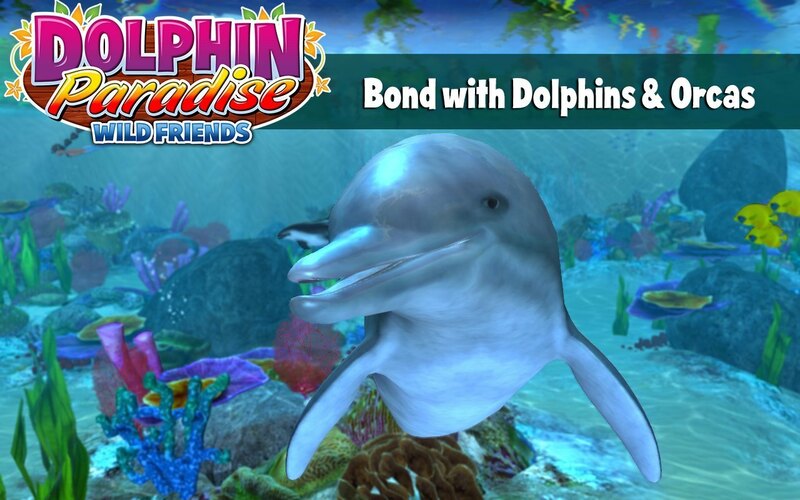 Bond and play with virtual 3D dolphins in this simulation game. Is there a better alternative to Dolphin Paradise: Wild Friends? Is Dolphin Paradise: Wild Friends really the best app in Simulation category? Will Dolphin Paradise: Wild Friends work good on macOS 10.13.4? 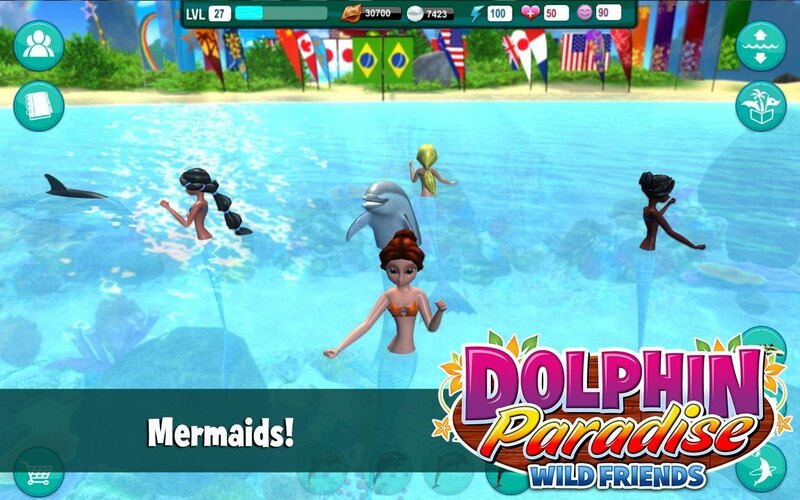 Dolphin Paradise: Wild Friends is a gorgeous 3D pet simulator game that turns your screen into a virtual lagoon. Here, you can feed, train and create a strong bond with realistic looking dolphins and orcas. These high-resolution, animated dolphins swim and perform tricks across your screen and crave your attention at each step of the game. Learn tricks and perform Shows! Share with friends! Graphics: Amazing 3D graphics replicate actually swimming in a lagoon with dolphins. Dolphin Paradise: Wild Friends needs a review. Be the first to review this app and get the discussion started! Dolphin Paradise: Wild Friends needs a rating. Be the first to rate this app and get the discussion started! Trick Training and Dolphin Shows: Train dolphins to do fun and exciting tricks and then perform in ever bigger and grander dolphin shows! Care, Nurture, & Play: Take good care of your dolphins. Shower them with affection by petting and rubbing their bellies. Keep them healthy with tasty feedings and let them swim, frolic & jump in the paradise lagoon; above and below water! Mini-games: Help keep the lagoon clean from jellyfish to earn shells and pearls which can be used to buy dolphins, props, decorations and habitats. Photos: Use our camera system to zoom and pan and take pictures of your dolphins, above or below water. Share exciting pics of your dolphins swimming, leaping, jumping and doing tricks via email, Facebook or Twitter. Friends and Sharing: Share photos, Dolphin Show scores and achievements with friends. And now, visit friend's lagoons! Customization: Players can acquire custom props and decorations for Dolphin Shows and buy multiple dolphin types, eventually caring for many dolphins. Coming soon too, different habitats!